Rice plays important roles in Indonesians diet. Rice could potentially fortified with micronutrient to address nutrition problem such as anemia. About one third of women and teenagers in Indonesia suffering from anemia. 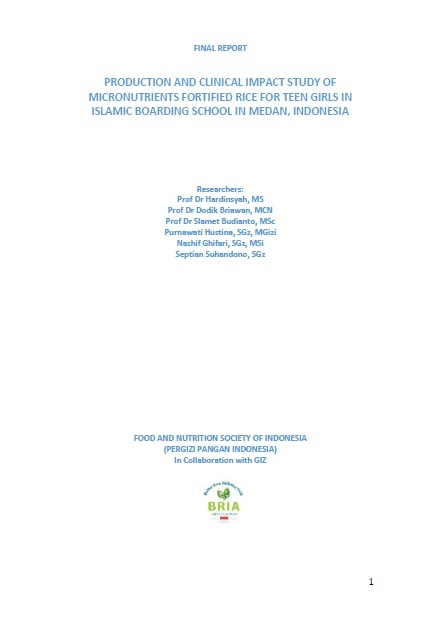 The objective of this study was to develop a micronutrient fortified rice and to test its efficacy on reducing micronutrient deficiencies.